What are these numbers? They are measures of Gross Domestic Product (GDP) per capita, or per person, and based on purchasing power parity (PPP), not just in nominal terms. GDP is the total economic output of a given country, and GDP per capita is derived simply by dividing the country’s total GDP by its population. This number – GDP per capita – has been widely acknowledged by economists the world over for many years as the best way to compare the economic level and economic growth of a country’s people with those in other countries, and better than just the total GDP, which does not present as good a picture. And when GDP is based on purchasing power parity, that’s a clearer, more detailed view than nominal GDP. It shows us that this amount measures what an average person can buy in goods and services with his share of economic output in his own country. (We must state here that GDP per capita is not the same as income per person, but somewhat close to it). Why is GDP per capita a better way to look at economic performance than just the total GDP? Let us take a look for example at China’s GDP in PPP terms in 2015. It was nearly $19.4 trillion in 2015. Comparatively it was $17.9 trillion for the United States (yes higher than the U.S.!). But because China has a population of nearly 1.4 billion (1,376,790,000 per U.N. estimate) its GDP per capita was only $14,107. Comparatively, the GDP per capita for the United States, with about 320 million people, was almost four times that, at $55,805. Take a look at why Qatar’s GDP per capita is the highest in the world when comparing economic output and population. Qatar’s total GDP was a mere $320 million ($319,818,000 to be exact, per IMF data) in 2015. But with a small population of around 2.4 million, its GDP per capita is over $132,000, about two and a third times higher than the $55,805 in the U.S. 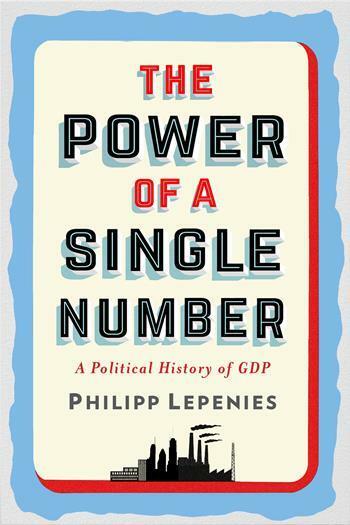 In this book, the author Philipp Lepenies traces the political history of the GDP, recounting how it was accepted by countries and became the most powerful indicator of national development and progress, and why all governments came to embrace and set a high GDP growth rate as their paramount goal. Lepenies traces the origins of the GDP from Renaissance England, and informs us of early socio- political objections to its use until a ‘lone-wolf economist’ improved its statistical approach and made it widely accepted, including by John Maynard Keynes. 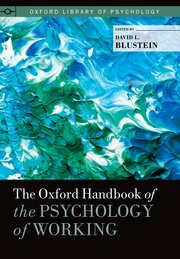 A closer study of national income then ensued, and some American economists advanced this work by tying the use of GDP to social well-being, thus promoting its rise, finally laying the groundwork for wider acceptance after World War II. This is an excellent book on the history of the GDP and how and why this economic measure became powerful and widely accepted by countries all over the world. Philipp Lepenies is a guest professor for social science at the Free University of Berlin. His research focuses on the success of economic ideas and concepts in politics. He is also the author of Art, Politics, and Development: How Linear Perspective Shaped Policies in the Western World (2013). NextFinancing Tips: Why Do Business Loans Get Declined?